Marketing slowing you down? Tons of small to mid-sized businesses are using marketing automation tools to boost productivity, increase revenue and get rid of monotonous day-to-day tasks. GetResponse is an all-inclusive marketing automation tool made to truly get stuff done. SMB’s love it for its email automation features. GetResponse’s “workflow builder” makes it super simple to create the ideal conversion funnel by clicking and dragging filters, actions and conditions into place. Once set up, the workflow builder will send welcome emails, coupons, social media links, newsletters and more in response to certain triggers. Colorful email templates even take the hassle out of sculpting the perfect newsletter online. How much time will that take off your plate? 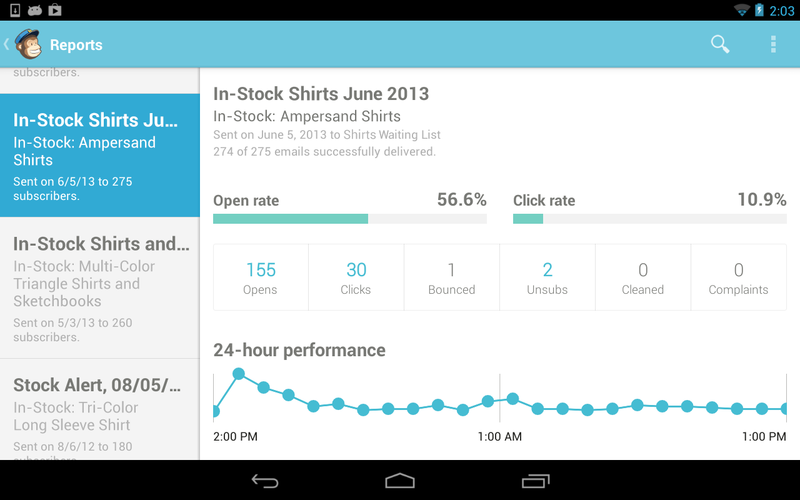 Want to see who’s opening and tossing your emails? GetResponse’s analytics share insight without overwhelming you with raw data. “Email ROI” helps you understand exactly how much your business is benefiting from email campaigns over time. There are also tracking capabilities for your company’s website, so you can uncover who’s visited your site, what visitors click on most and when leads turn into paying customers. Guesswork is a thing of the past. While this platform’s UI is almost too easy to use, GetResponse offers unparalleled customer service through live chat, phone and email communications. 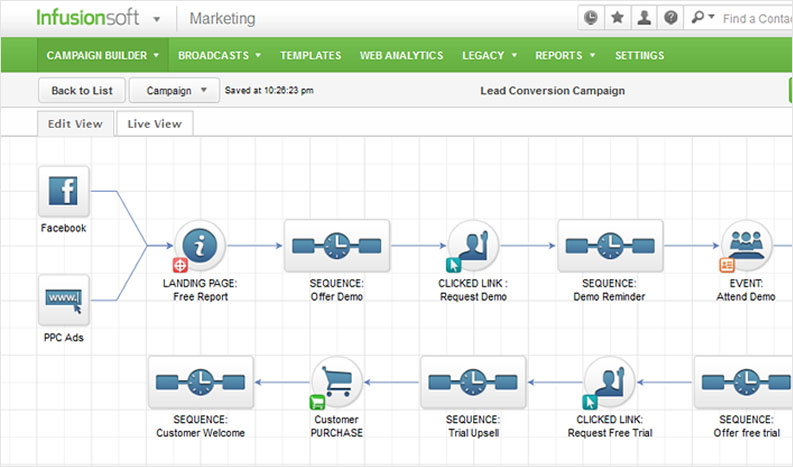 Your marketing automation efforts will run smoothly no matter what. Those in tune with their audience (or those who would like to be) will love Infusionsoft. Staying connected becomes second nature after importing and organizing contacts using tags and segmentation. Infusionsoft tracks and records leads’ behavior (like checking your website or archiving your emails), then scores each lead based on ease of conversion. From there, it’s your choice whether to prioritize high-rated leads or reach out to the ones on the cusp of becoming paying customers. Should you decide to do the latter, Infusionsoft can help. Like GetResponse, Infusionsoft can automatically send personalized emails to contacts who trigger them -- abandoning a shopping cart or filling out a survey will spark a message to capture their interest. Similar emails can automatically get in touch with customers who make an online purchase, keeping them connected with your brand. Whether a contact is a brand-new lead or a lifelong customer, you’ll be able to maintain your relationship with minimal time and effort using Infusionsoft. On the go? Infusionsoft offers a mobile application with full lead form, page and email building capabilities. You can even accept payments outside of your normal environment using the app’s integrated mobile card reader. 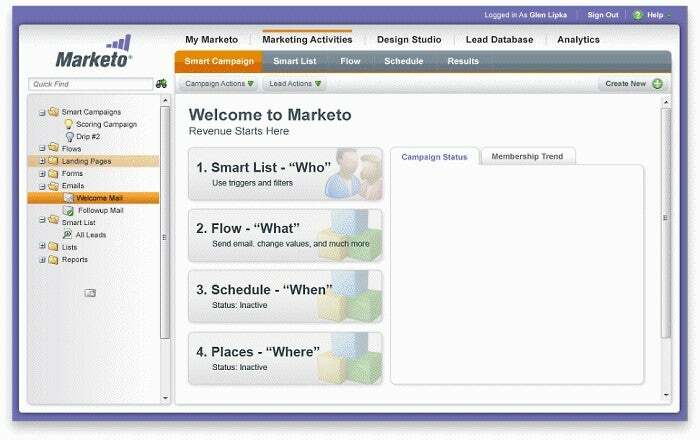 Marketo is wildly popular and for good reason. Perfect for beginners, this platform focuses highly on generating new leads for your business. Constructing landing pages and forms for your company’s website is a breeze. Marketo’s user resources teach newer marketers how to take advantage of search marketing, social media and behavior tracking. Similar to Infusionsoft, Marketo provides each lead a score based on marketability, factoring demographic and inactivity into the equation. Star and flame icons even help indicate which leads are urgent matters of concern. If nothing else, Marketo is great for learning which leads to pursue and which to leave alone. Marketo also helps SMB’s create personalized Web experiences that work across all devices. If you’re having trouble bringing leads to your website, this tool can help you create and schedule Web ads to catch those in your target demographic. Capturing online and offline conversions helps you to save money when it comes to pricey advertising. There’s never been an easier way to get the most bang for your buck. Hubspot can help out every SMB owner, whether they’re novices or seasoned entrepreneurs. With campaign “recipes,” you can quickly generate content assets for your company’s campaigns. Campaign wizards help you ensure a campaign never launches when it’s not yet complete. Hubspot’s user-friendly dashboard displays all campaign analytic data, making it easy for you to determine whether your plan is working (or crashing) before it’s too late. 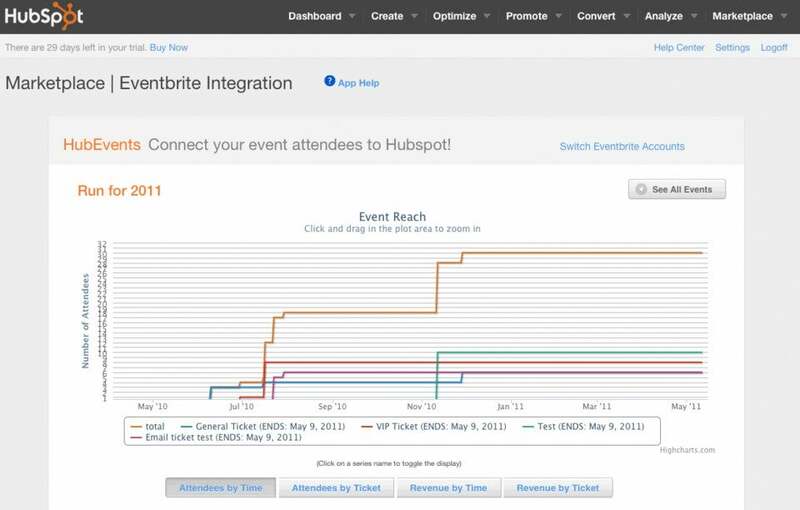 Hubspot conveniently doubles as an online SEO manager. With an instant analysis of any page’s SEO, you receive a simple to-do list filled with tasks that will boost search engine discovery. Choosing your ideal keywords ahead of time lets the platform provide you with instructions on how to rank with those specific searches. SEO doesn’t have to be nearly as complicated as it sounds. MailChimp is an excellent marketing automation tool for the modern business. With the ability to create beautiful emails using drag-and-drop templates, you can connect with leads on a whole new level. New visitors will never go without a welcome email or coupon if you don’t want them to; long-time fans will receive back-in-stock alerts when their favorite item is . . . well, back in stock. If your business partner loves design and you’re a great copyeditor, good news -- MailChimp supports multi-user use, so you can get double the work done in half the time. MailChimp comes with a whole suite of mobile apps to keep the ball rolling on the go. MailChimp Subscribe allows you to collect signups online or off, while MailChimp Snap lets you send quick, photo-based emails to lists of subscribers from your smartphone. No matter where you are, MailChimp has your automated marketing needs covered. There are a number of marketing automation tools for SMB’s online, and these are just our favorites. What are your favorite marketing automation features? What tools do you use for your business?